The number of people displaced by hydropower dam construction has been growing steadily as more dams are constructed on the Mekong mainstream and its tributaries. 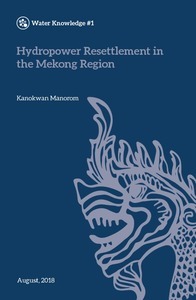 More dams are proposed because the governments of Mekong countries regard them as a means to tackle poverty and stimulate economic growth (MRC, 2009). Many scholars argue that resettlement does little or nothing to improve the lives of affected people, regularly leaving them worse off than before dam construction (McCully, 1996; WDC, 2000; Delang and Toro, 2011; The Guardian, 2015; Chamberlain, 2007; Lawrence, 2007; Baird et al. 2015; Evrard and Goudineau, 2004). The number of forcibly resettled people around the world is increasing. The World Bank estimates that nearly 40-80 million people have been displaced worldwide due to the reservoirs created by large dams (WCD, 2000). Looking at the Mekong region, in China alone the Three Gorges Dam, the world’s largest hydropower project, displaced more than 1.2 million people (The Guardian, 2015). At the other end of the scale, Ty et al. (2013) report that the A Luoi dam, a fairly small dam on the A Sap River in Vietnam displaced 218 households (about 872 villagers), mostly ethnic minorities. Larger dams like the Son La dam in Vietnam displaced 16,206 households (Ha, 2011). The Nam Theun 2 Dam in Laos – currently its largest - dislocated about 6,200 indigenous people living on the Nakai Plateau (IRN, 2007). About 4,800 people from 11 villages were forced to move when the Theun Hinboun Dam in Laos was built. They were moved to three host villages along the Nam Phiat and Nam Ngoy Rivers (Imhof, 2008). The Pak Mun Dam, a run-of-river dam, displaced 248 households (WCD, 2000). The Lower Sesan 2 (LSS2) Dam in Stung Treng, Cambodia displaced over 5,000 people (Earthrights, 2014). Dams cause involuntary resettlement of mostly ethnic minorities and remain a serious threat to their livelihoods and well-being (Ha, 2011; Baird and Shoemaker, 2007; McCully, 1996; Delang and Toro, 2011; Chamberlain, 2007; Lawrence, 2007; Imhof, 2008; IRN, 2007; World Bank, 2015a; Baird et al. 2015, Keophoxay 2013, Trung 2013, The Guardian 2015, Yin 2013, Borin 2013, Scudder 2005, Cernea 2008, McCully 2001, Picciotto et al. 2001; WCD, 2000; Goldsmith and Hildyard, 1984). In early 2015, the World Bank admitted major shortcomings of their resettlement policy in dam-affected areas around the world. World Bank Group President, Jim Yong Kim said: “We took a hard look at ourselves on resettlement and what we found caused me deep concern. We found several major problems. One is that we haven’t done a good enough job in overseeing projects involving resettlement and two, we haven’t implemented those plans well enough; and three, we haven’t put in place strong tracking systems to make sure that our policies were being followed. We must and will do better” (World Bank, 2015a). Dam expert Thayer Scudder (2005: 1), one of 12 Commissioners on the World Commission on Dams (WCD), said dams have adverse impacts on the ecology and on people. Large dams are flawed for many reasons. Benefits are overstated and costs are understated. Especially serious are the adverse environmental impacts on world river basins, impacts that tend to be irreversible when dams are built on mainstreams and large tributaries. Implementation continues to impoverish the majority of those who must be resettled from reservoir basins and project works and adversely affects millions of people who live below dams and whose living depends on natural flood regimes.